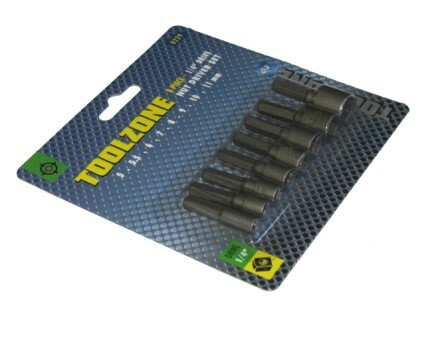 A practical set of 3 hex shank square drive power nut drivers/driver adapters from Toolzone Tools. 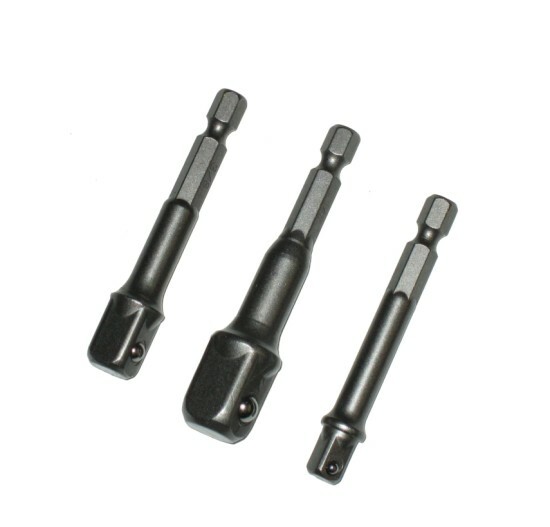 1/4", 3/8" and 1/2" drive sockets. Chrome Vanadium. 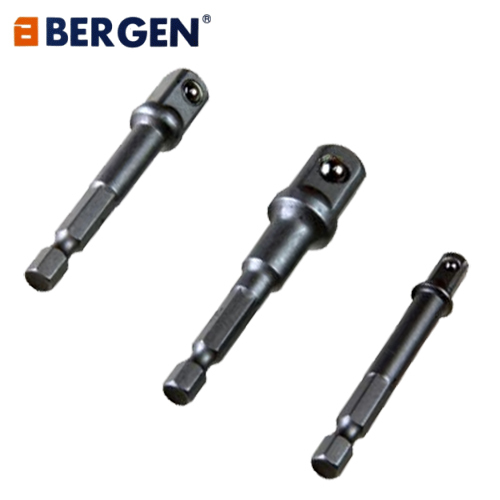 65mm-70mm in length. 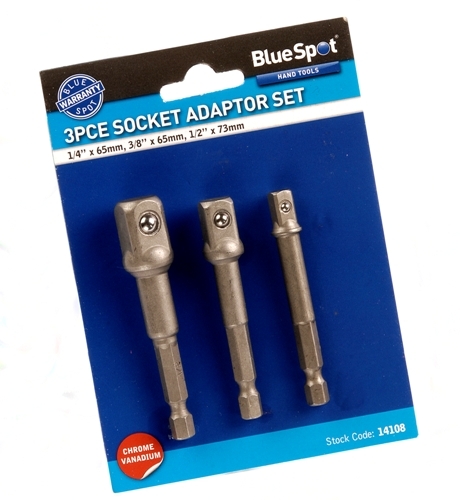 A really versatile set of adapters to have in the toolbox for when you need to use sockets with your cordless drill.